The pintail is a big and fast flying duck. This is a handsome bird and a favorite of most wing shooters. 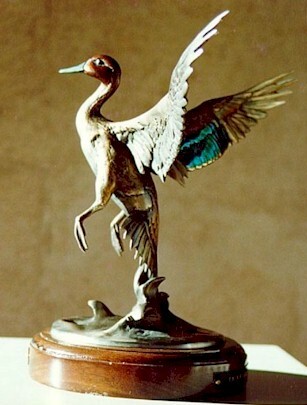 This piece was developed for auction at Ducks Unlimited in California in 1989 many were sold helping with the conservation of migratory waterfowl. To place an order contact us Inquiries02@artsales.com and an individual sales representative will contact you assist you with the transaction.